Join the photo contest to become our test member! Do you want to try the newest Lens Set and Camera from mint? *All photo need to took by The IMPOSSIBLE PROJECT FILM. 2. it need to be the colour shade photo by The Impossible Project Film. 3. 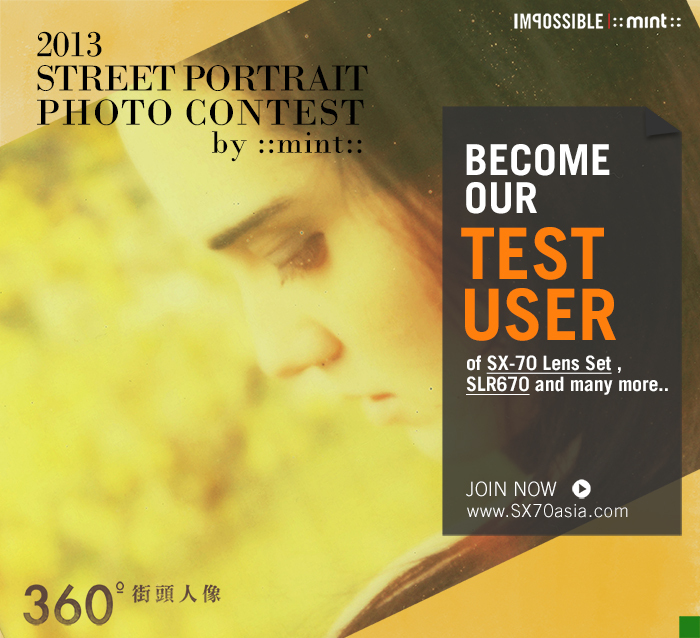 The 5 winners can become our "test member", to try our lens Set and new cameras. 4. No limitation on the number of the works. You can feel free to upload in these three months. Mint Team will keep an eyes on it. Join and enjoy it! 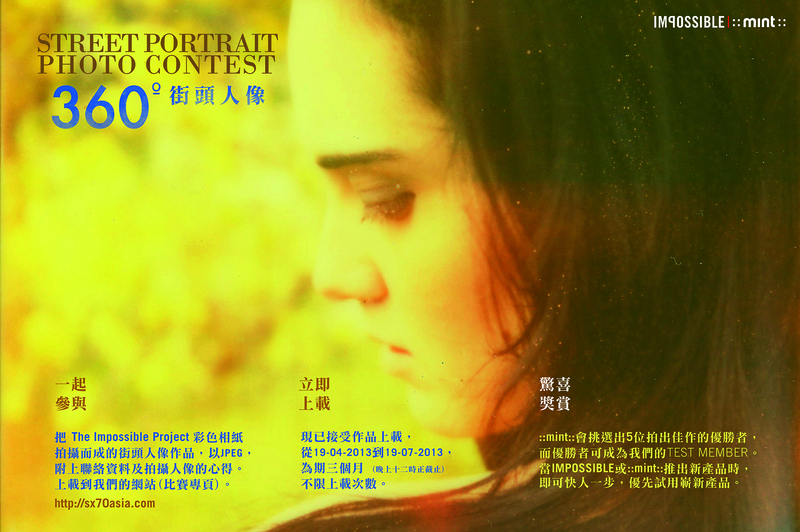 International participants are welcome to the photo contest. Yep! Ça donne envie de participer!